CNMI State Library’s Information Technology Center (ITC) staff hosted computer classes that showed patrons how to use online educational databases. ITC staff presented a Summer Basic Computer Literacy program to children over the age of ten. The class covered basic computer skills, online search techniques and Internet safety practices. Staff also provided one-on-one computer consultations to patrons on word processing, keyword searches, and related questions. The library regularly assists patrons in making online appointments with the Immigration and Naturalization Services (INS) and allows non-profit and government organizations to use its Video Teleconferencing Facility for cost-saving communications with off-island locations. 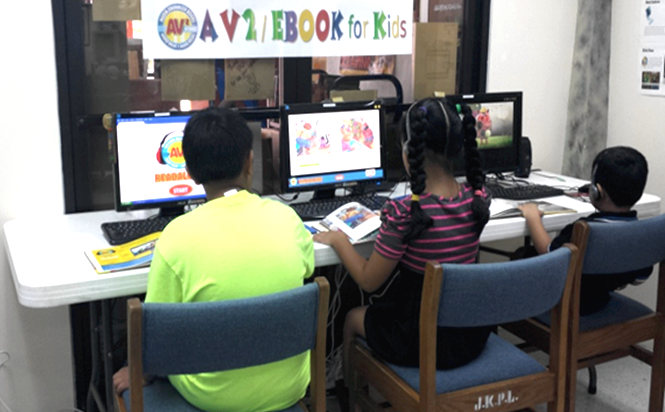 CNMI State Library upgraded its integrated library system. It added new software that allows patrons to access a paid eBooks subscription as well as open source eBooks. This integration enables residents to access content using their library card and provides tracking and circulation statistics for the library. Joeten-Kiyu Public Library staff received training on the software applications, which helps them better serve patrons and generate reports. 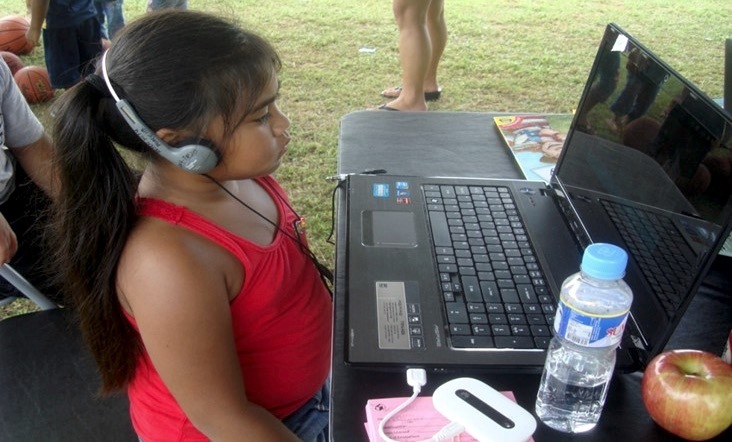 To further enable access to eBooks and other online content, the state library added ten new computers to the Joeten-Kiyu Public Library and six new computer workstations in Rota Public Library and Tinian Public Library. Additionally, the libraries also offer wireless connectivity, so patrons can access electronic materials through their own devices. 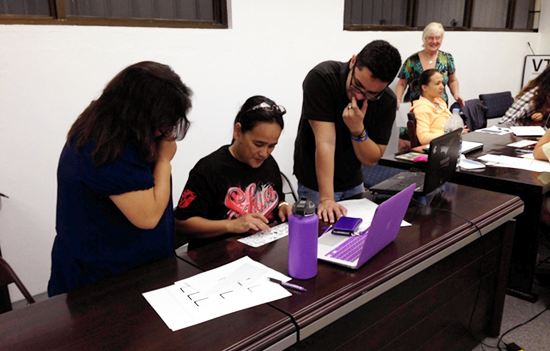 CNMI State Library used grant funds to make training opportunities available to staff. Nine of eleven Joeten-Kiyu Public Library staff trained in network software for the library system as well as Windows-based and teleconference software applications. One staff member with a background in multimedia editing and photography received a computer certification during the grant period. Another attended the Collaborative Summer Library Program conference to provide quality summer programming to patrons. 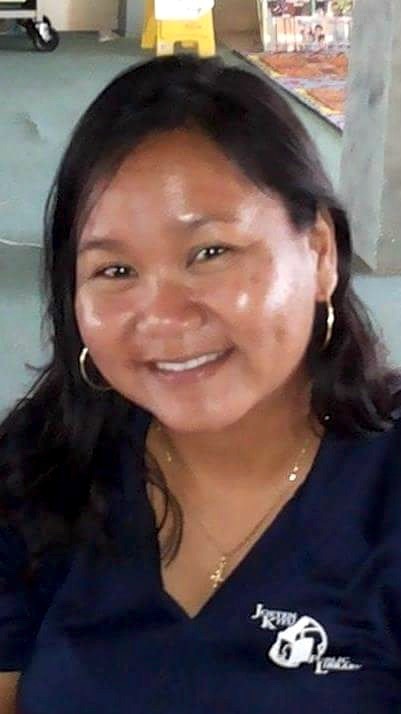 Staff from Tinian Public Library and Rota Public Library traveled to the capital city of Saipan for three training sessions on cataloging, circulation and library programming. All of these training opportunities increased staff knowledge, helped improve services to patrons, and enabled a more distributed workload. Goal 1: Literate CNMI - CNMI Libraries provide equitable access to literacy services and programs so that CNMI community can be successful in all of life’s endeavors. Goal 2: 21st Century Skills - CNMISL libraries provide training and access to information for library users and staff so that they have the skills needed to be successful in the 21st century. Goal 3: Maintain and Upgrade CNMISL Technology Infrastructure - Meet CNMI patrons’ needs for workforce development by improving the technological infrastructure for the entire Library System. Provide Internet access for patrons in all public library facilities via patron-owned devices connected to wireless service provided by CNMISL. The Public Libraries Survey (PLS) provides national descriptive data on the status of public libraries in the United States and its territories. Data are collected from more than 9,000 public library systems with over 17,000 public library outlets. Explore state-level profiles to find and compare totals on key data such as numbers of libraries and librarians, revenue and expenditures, and collection sizes.